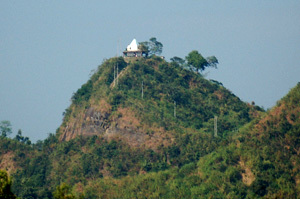 Sitakund one of the westernmost structures of Chittagong and Chittagong hill tracts. It is situated at the northwestern part of Chittagong district, between 22°34´N and 22°43´N latitude and 91°38´E and 91°41´E longitude. It is delimited in the north by the feni river, in the south by the Karnafuli, in the east by the Halda river and in the west by the Sandwip channel. 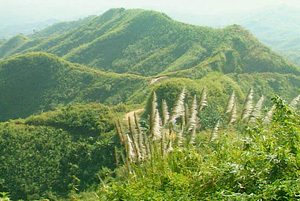 Sitakund Hill Range acts as a water divider between the Halda valley on the east and the Sandwip channel on the west. The structure is about 70 km long and 10-km wide and is situated at about 270-km southeast of Dhaka and 40-km northeast of Chittagong city. The district is part of the Chittagong Division, the highest order of administrative units in Bangladesh. Sitakund is the home of the country's first eco-park, as well as alternative energy projects, specifically wind energy and geothermal power. Sitakund is one of the oldest sites of human habitation in Bangladesh. During much of its history, it was ruled alternatively by various Buddhist rulers of Myanmar in the east and Muslims rulers of Bengal in the west. For a brief period in the 8th century, it was ruled by the Buddhist Pala Empire of India. The eastern rulers originated from the Kingdom of Arakan, the Mrauk U dynasty, Arakanese pirates and the Pagan Kingdom. The western rulers came from the Sultanate of Bengal and Mughal state of Suba Bangala. European rule of Sitakund was heralded by Portuguese privateers in 16th and 17th centuries, who ruled together with the pirates; and the British Raj in 18th and 19th centuries, who unified Sitakund into the rest of the Chittagong District. Economic development in Sitakund is largely driven by the Dhaka-Chittagong Highway and the railway. Though Sitakund is predominantly an agricultural area, it also has the largest ship breaking industry in the world.The industry has been accused of neglecting workers' rights, especially concerning work safety practices and child labor. It has also been accused of harming the environment, particularly by causing soil contamination. Sitakund's ecosystems are further threatened by deforestation, over-fishing, and groundwater contamination. The Upazila is also susceptible to natural hazards such as earthquakes, cyclones, and storm surges. It lies on one of the most active seismic faults in Bangladesh, the Sitakund-Teknaf fault. 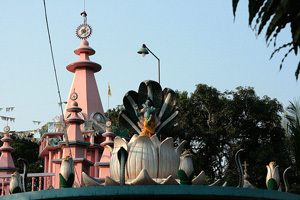 Sitakund is renowned for its numerous Islamic, Hindu and Buddhist shrines. It has 280 mosques, 8 mazars, 49 Hindu temples, 3 ashrams, and 3 Buddhist temples. Among its notable religious sites are the Chandranath Temple (a Shakti Peetha or holy pilgrimage site), Vidarshanaram Vihara (founded by the scholar Prajnalok Mahasthavir), and the Hammadyar Mosque (founded by Sultan Ghiyasuddin Mahmud Shah). 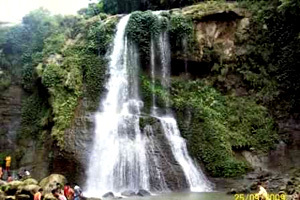 The attraction of Sitakund as a tourist destination is elevated by these pilgrimage sites along with the hill range and the Botanical garden & Eco Park.